Thinking of digging post holes for a new fence? Or pouring footings for a deck expansion in the backyard? Maybe it’s finally time to install that sprinkler system to keep your landscaping looking great during the summer. Just make sure your first move is to call the local utility company. Before pulling out the shovel, post-hole digger or trencher, you want to make sure you don’t accidentally cut into an electrical or water line leading into your house. You could make a small job that much bigger if you need to repair a water line or you could end up in the hospital if you cut into a buried power line. 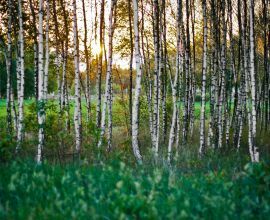 This step is also important when it comes to removing trees from your property as well. As trees grow and the roots expand, nearby utilities could become tangled. It isn’t uncommon for tree roots to wriggle their way into a sewer line and cause problems. Now imagine removing the roots and taking part of the sewer line with it! That’s where the utility company comes in. They will come to your house and mark all buried infrastructure to prevent accidents during work. Water, power, and even internet or cable lines will be clearly marked with spray paint at the work site. In many cases, if you are working with a contractor, they’ll make the call for you. The last thing they want is to interrupt service to your home and then have to pay to get it restored. It may take a few days for the lines to be marked but it will prevent unwanted issues. Getting lines marked may also be part of the permit process depending on the job. A recent change to Washington State law in regards to stump grinding addresses this very point. 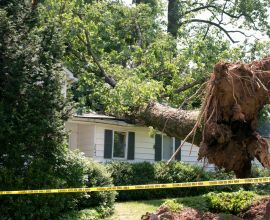 Homeowners or contractors were giving utilities very little information – if any – when it came to which trees or stumps were being removed. Going forward, stumps need to be clearly marked for removal for utility companies. Luckily, it doesn’t take much more than a $5 can of white spray paint. Following all manufacturer instructions, make a visible white ring around the trunk planned for removal. It’s that easy. If roots are to be removed as well, make sure the ring reflects that. 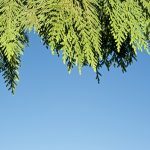 This simple step will keep surprises to a minimum during the tree-removal process, especially if you plan to replant a tree in the same spot. If there are a myriad of lines running through the area, you may have to rethink the placement of the new tree. 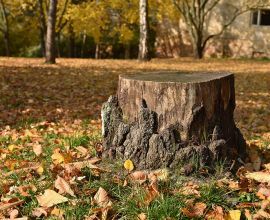 Have a stump that’s becoming an eyesore? 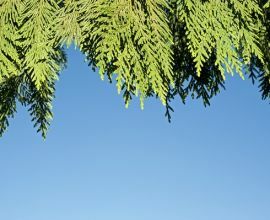 Call Inexpensive Tree Care to have it removed. We can cut the trunk down to the ground or go up to a foot deep. We’ll even take care of marking all utilities, saving you a phone call. Give us a call today – we look forward to hearing from you!